José works on the development of bioinformatic tools, used in rare disease research, such as Diseasecard. 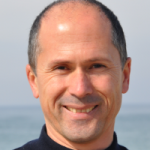 José is the vice-director of Institute of Electronics and Telematics Engineering of Aveiro (IEETA) research unit, coordinator of the Bioinformatics group at the University of Aveiro, and vice-director of BMD Software Lda. His background is in the field of distributed systems and applications, namely on network and systems management. Over time, he has been increasingly interested on bioinformatics and biomedical informatics and works now on topics mostly related to information retrieval, information extraction, biomedical data integration, and knowledge discovery. For many years, José has been continuously involved in European Programs, including GEN2PHEN, European Medical Information Framework (EMIF) and RD-Connect.